 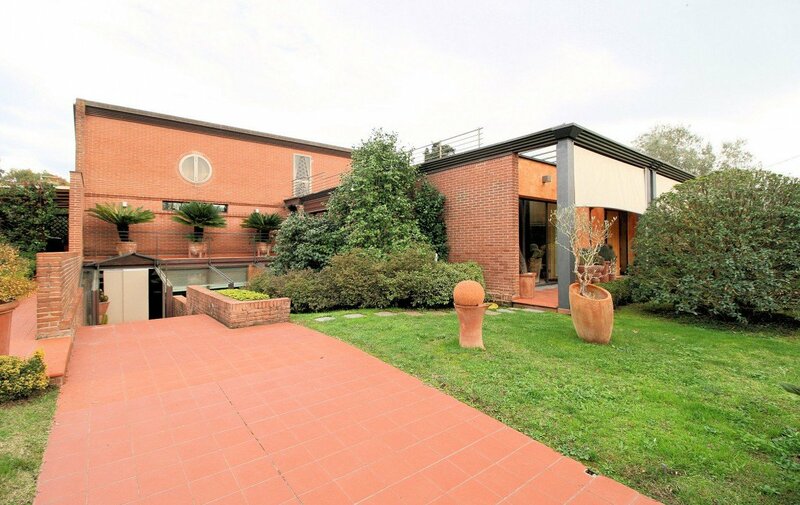 Wonderful villa of about 300 sqm, modern style, designed by a architect known all over the Country, thought to be a prestigious property with aspects of the interiors and the exteriors very comfortable. 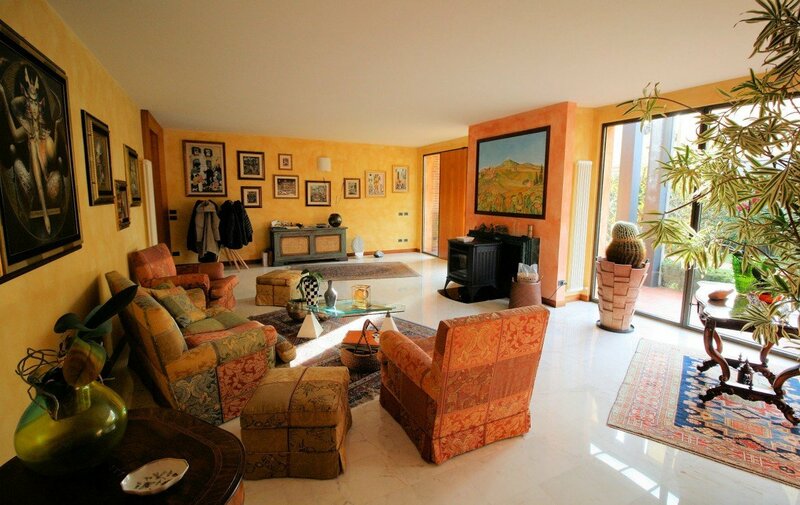 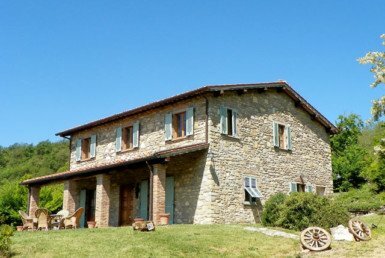 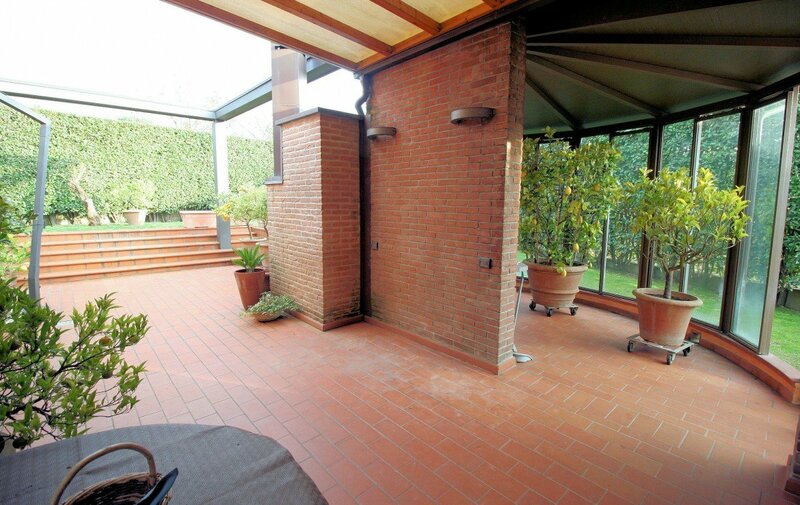 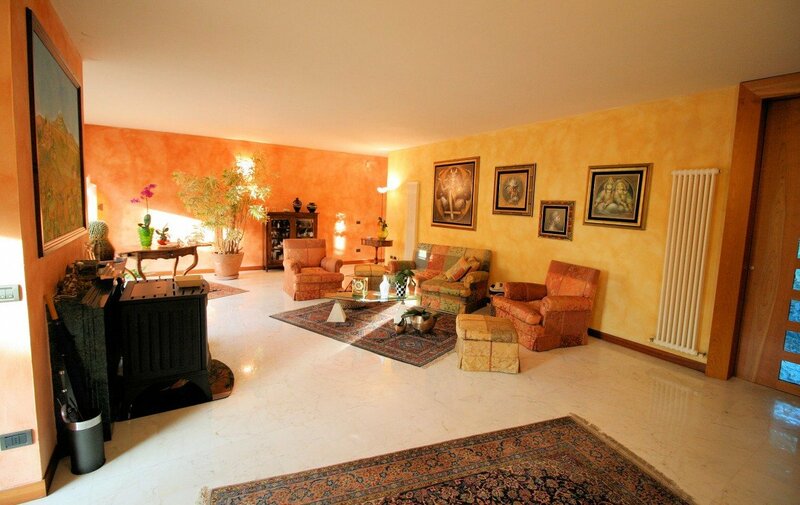 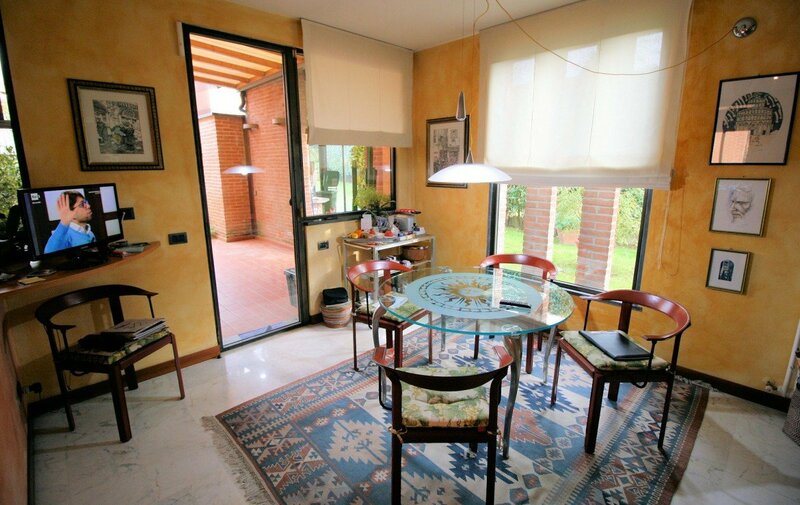 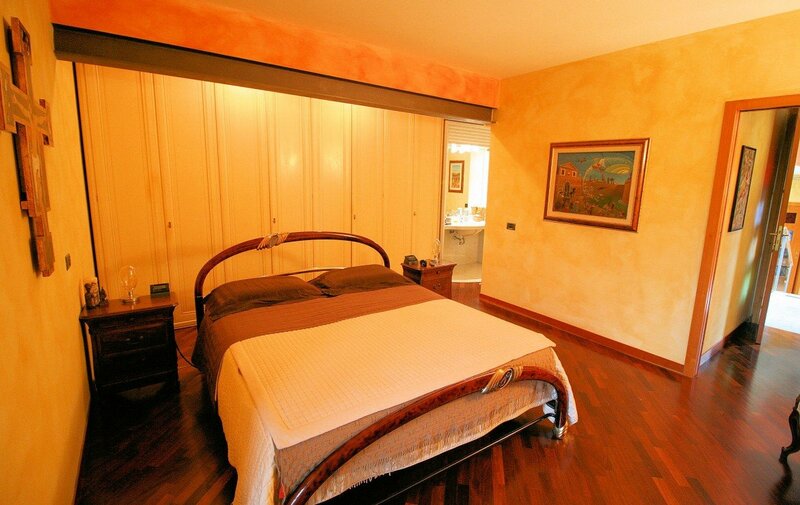 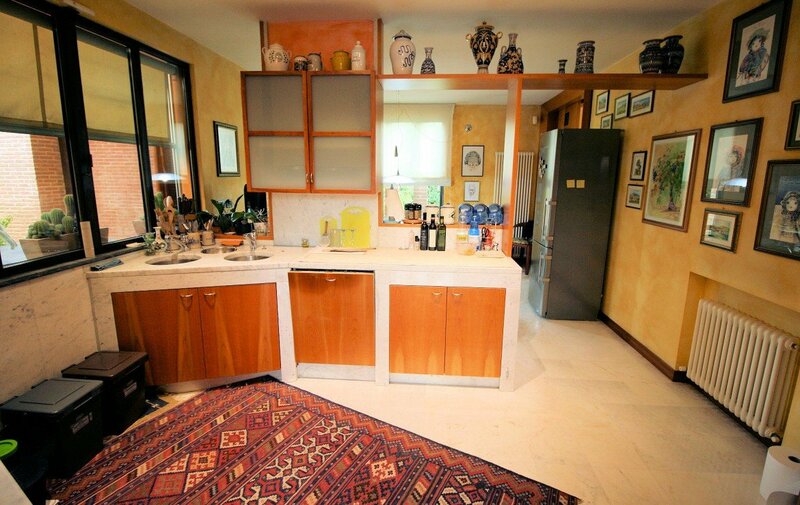 The villa is set at less than 5 km from the centre of Lucca, it is in a residential area, very quiet and private. 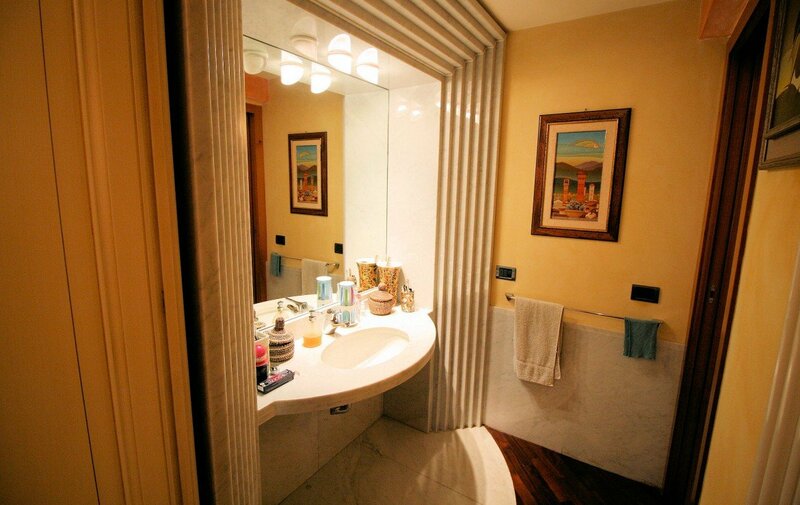 The current owners chose only high quality material for the restoration, in fact there are windows in brass with big glass, Italian cherry wood doors in the interiors, Murano’s glass, high quality marble floors, wood floors. 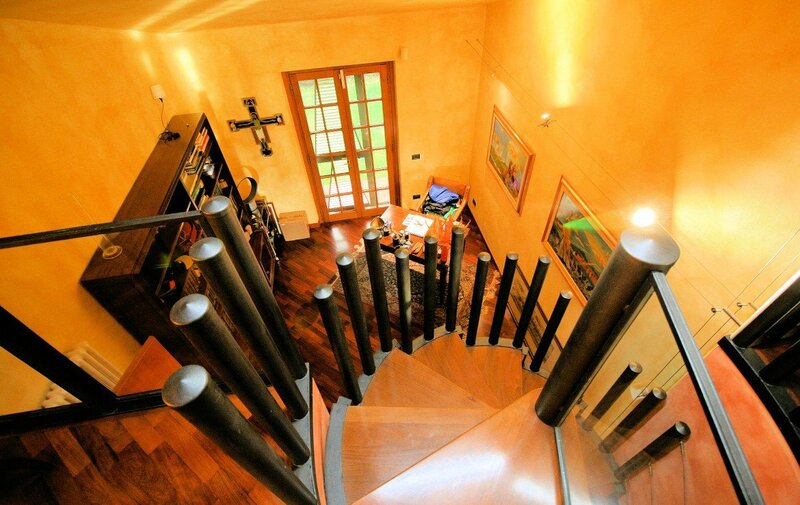 The villa is on 3 floors, a basement of 2.50 high. 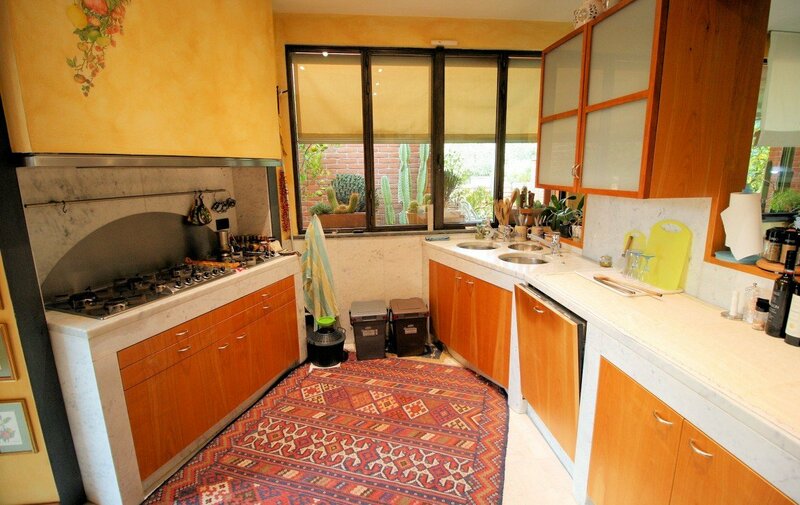 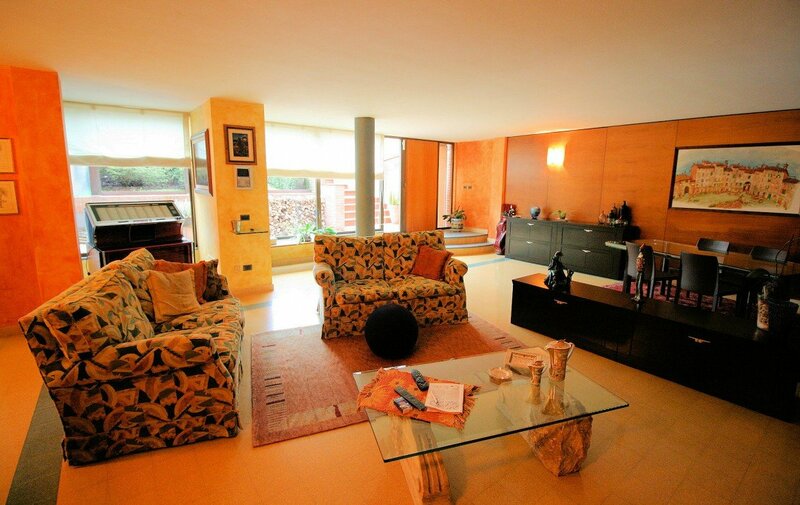 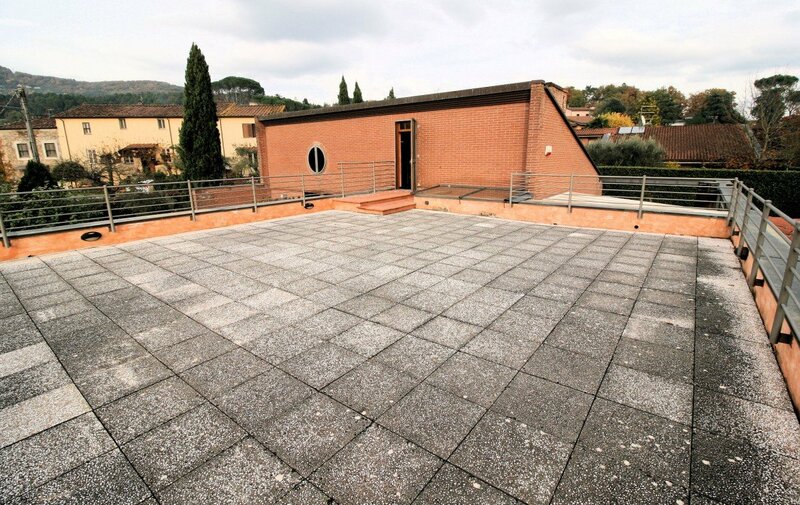 A huge terrace of 70 sqm with access from the attic. 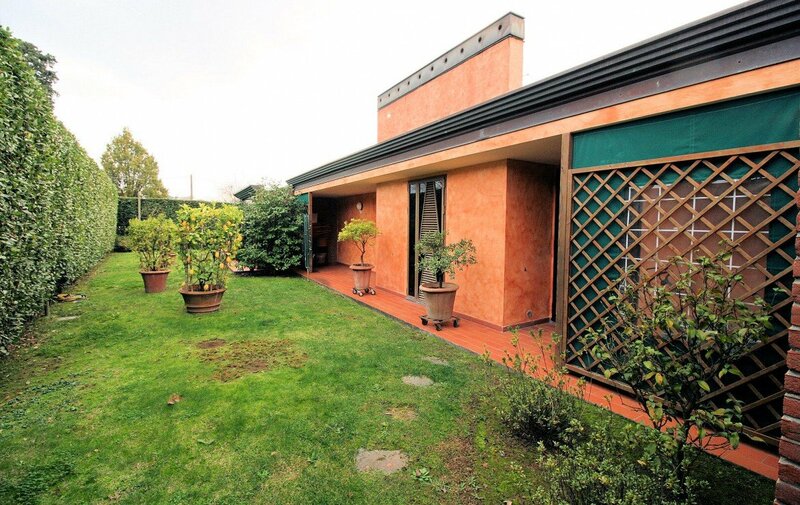 The external of the villa is very particular with volumes designed to be well integrated with the surroundings. 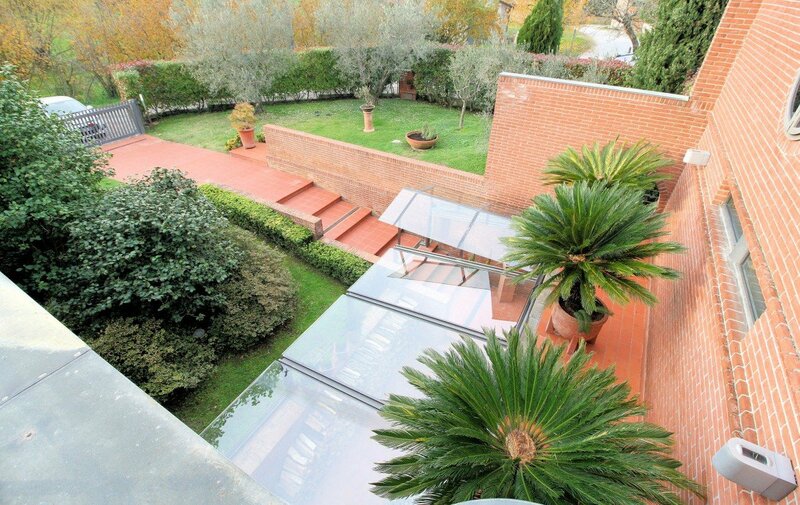 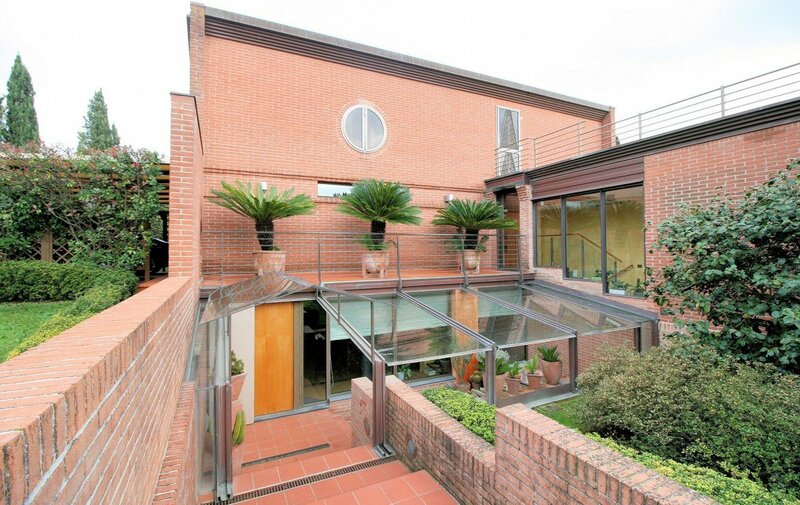 The villa is in the centre of a garden fully fenced-in of about 1000 sqm. 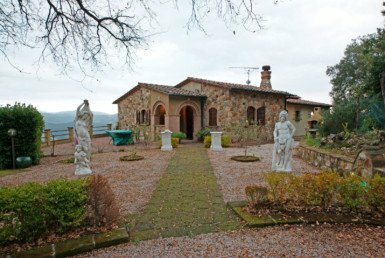 With 2 car spaces. 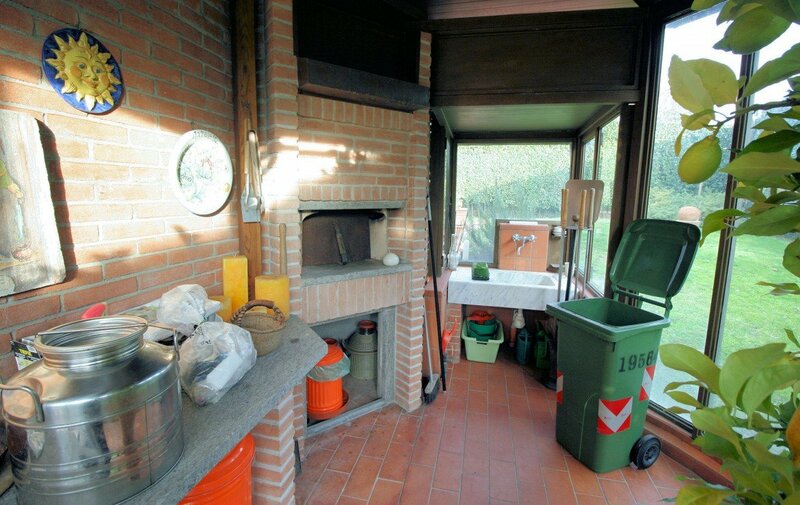 Ground floor: wide living room, very bright, with big glass walls which gives a nice view on the garden, a beautiful fire place, big well-equipped with dining room with access to the patio where there’s the wood oven and barbecue. 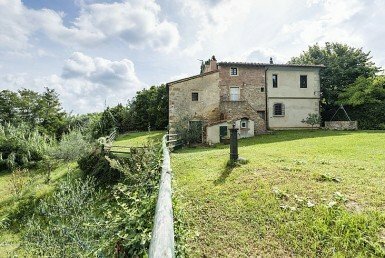 First floor: going up just few steps there’s the first sleeping area, with a the main bedroom with exclusive bathroom, bedroom, bathroom, studio and a wood and metal spiral staircase which leads to the attic, which can be used as 2 bedrooms. 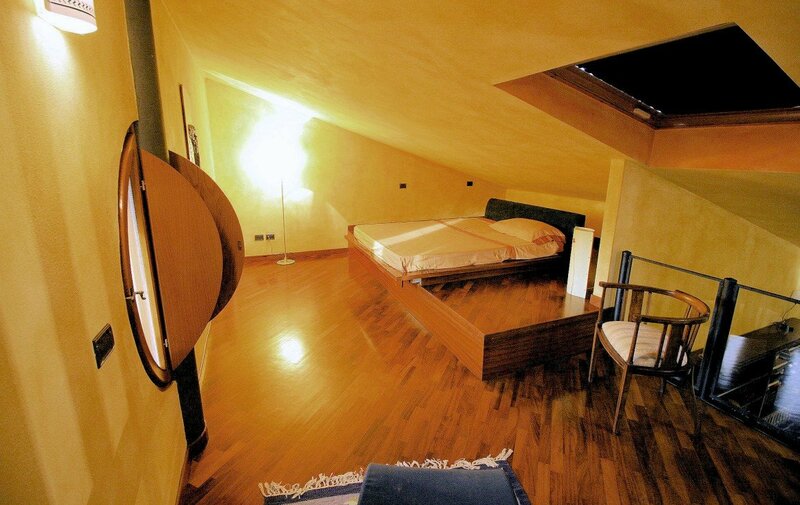 Attic: in this area there’s currently a double bedroom. 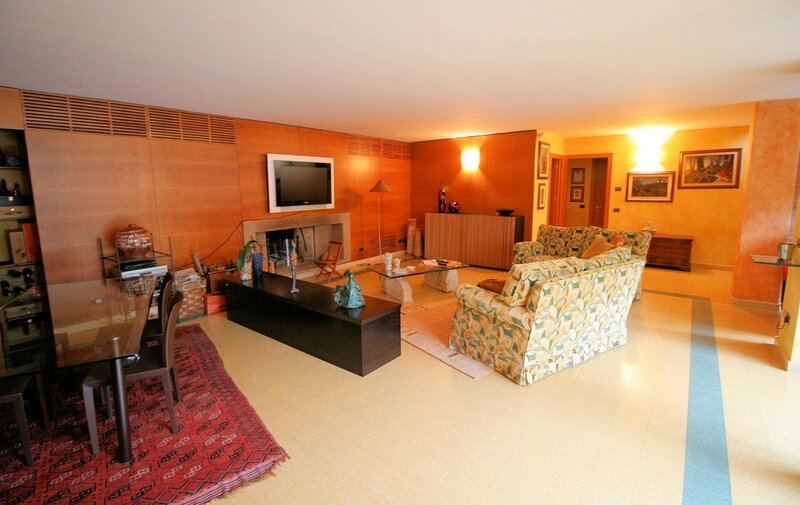 Basement: with access both from outside and inside, there’s a big living room with fireplace. 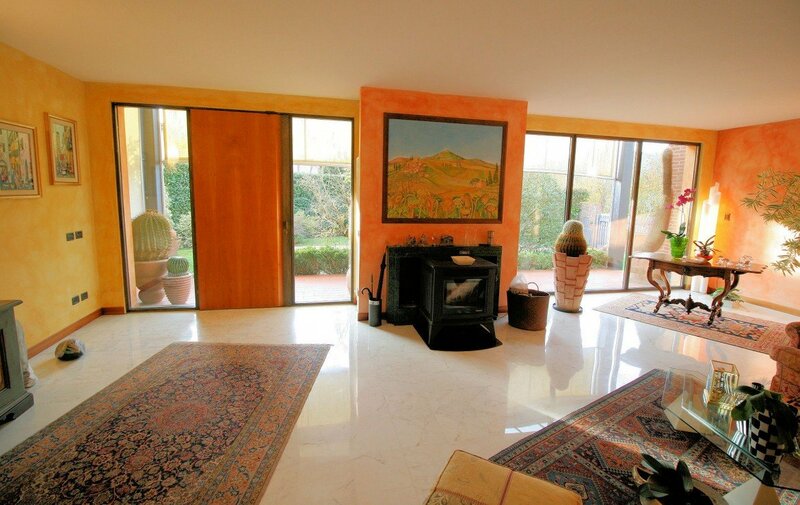 The basement is bright too thanks to the big glass walls. 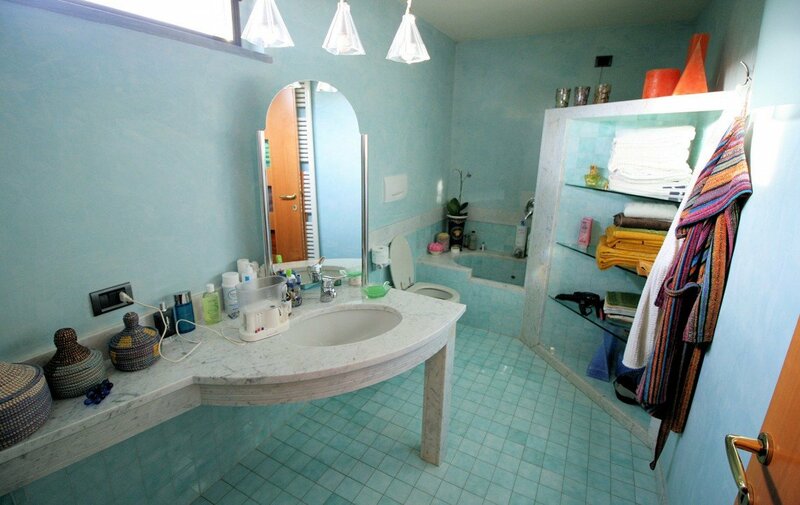 Laundry and a bathroom.